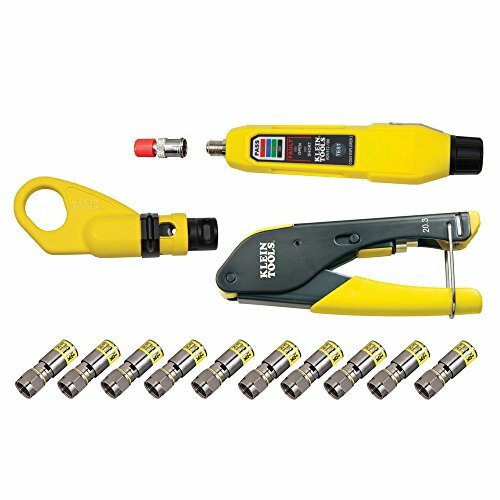 Functions: Stripping cable / make Ethernet connector / Test network cable or coaxial cable Packing List: Network Wire Punch Down Tool Can be used on shielded or unshielded twisted pair cables to 110 / keystone jacks Crimping Tool Great for cable and phone installation and any other electrical wiring work. 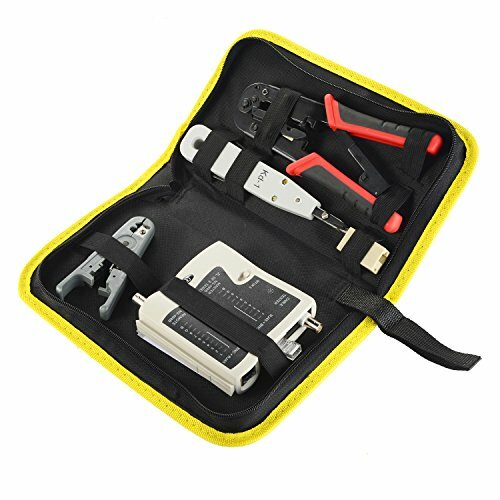 Crimping Tool Curtails 8-wire RJ45, 6-wire RJ12, and 4-wire RJ11 Modular Plugs. 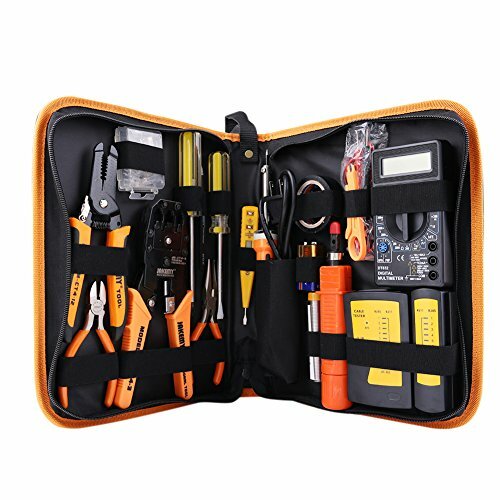 Network Lan Cable Tester Can test correspondingly double-twisted cables 1, 2, 3, 4, 5, 6, 7, 8 and G, meanwhile, can judge wrong connection, short circuit and open circuit. 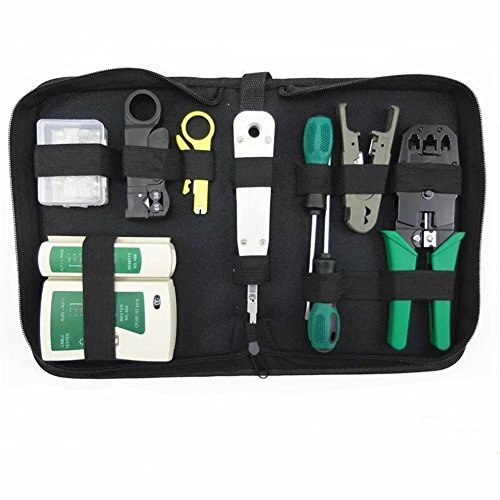 Ethernet Coupler Stripping Plier Zipped Nylon Bag With a good quality carrying bag, it is convenient to store and organize all the tools in order. 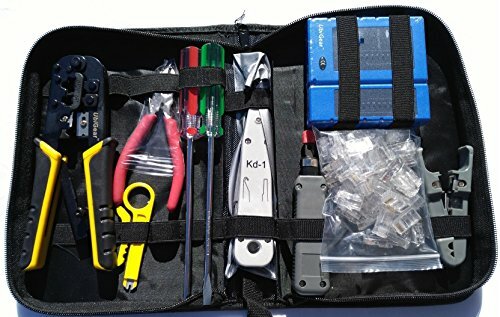 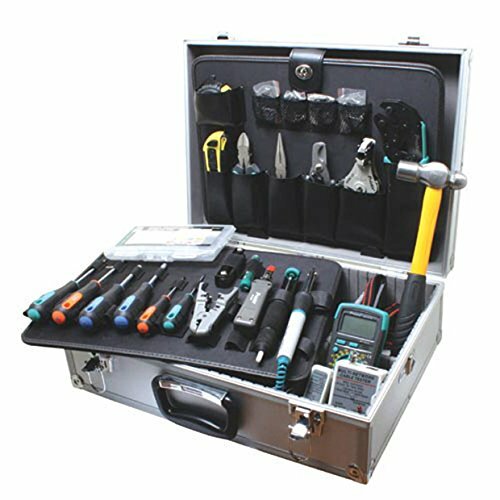 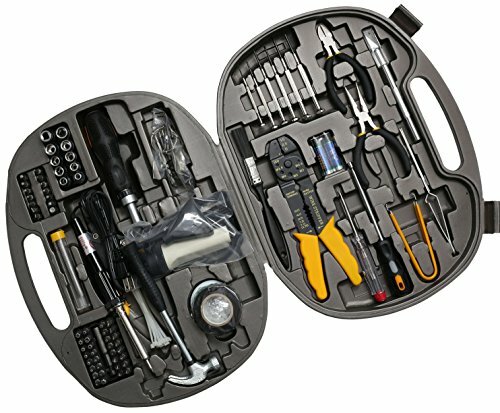 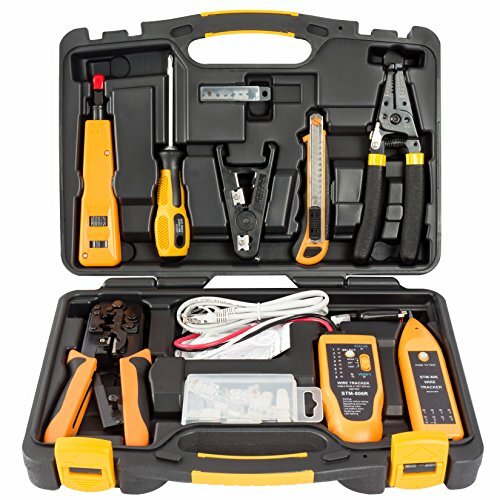 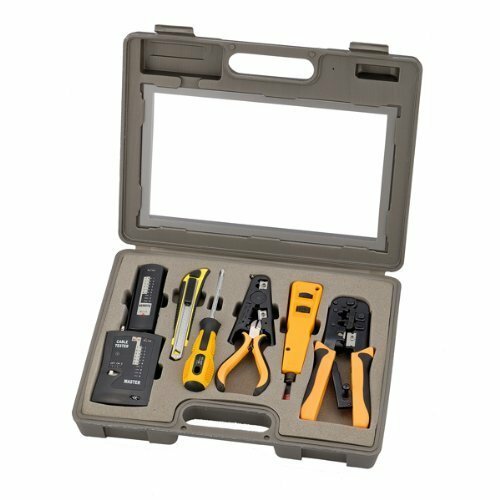 PC networking tool kit includes digital multimeter, tester, crimper, stripper, pliers, punch down tool and soldering iron for system integrators and MIS engineers of computer repair and network installation. 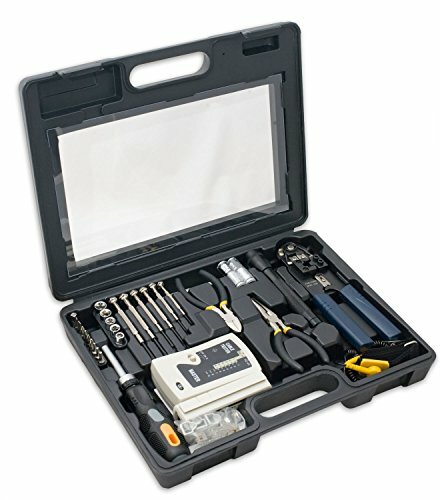 Copyright © Wholesalion.com 2019 - The Best Prices On Network Installation Tool Kit Online.